For fully accredited car wheelchair ramp installation from a local, NDIS-approved provider, it has to be Safe In Motion. Committed to providing accessible and special needs seating installation for Melbourne families, our mobile service makes it easy to ensure your vehicle supports passengers of all abilities. As a registered NDIS provider, clients living within rollout areas can access government funding to support full car wheelchair ramp installation and special needs seat installation from Safe In Motion. It’s easy to book an appointment – simply call Michael on 0448 678 780 or Nic on 0490 514 009, and we’ll organize a time that works for you. Our NDIS provider number is 6154728956, and we also provide privately-funded car wheelchair ramp installation. Whatever your needs, we’re here to help with dedicated customer service and quality work. Call to find out more about your options with car wheelchair ramp installation – we’re the one stop shop you can rely on, providing sales and anchor point installation for special needs seating, ramp fittings and more. Along with our accredited and renowned safety installation solutions the team at Safe In Motion can assist in the general modification of all types of vehicles, making them capable of completing a number of uses without issue or obstruction. 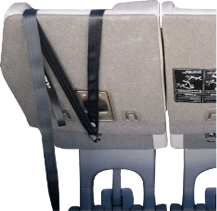 From installing anchor points or fitting car seats with seat belts, to making car seats safe for toddlers and children, we can ensure that every occupant of the vehicle is given increased safety once they are buckled in. 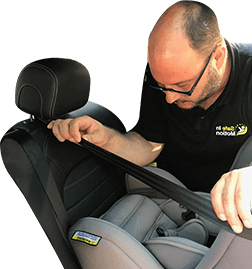 To learn more about our bespoke and secure car seat modifications feel free to give a member of our helpful team a call today.